Description: Connor is a very mannerly and a gentleman. Calm, polite, socially friendly with all people and dogs. He is kind and gentle to all people and animals. He is easy going, very easy to train and handle, yet enjoys playing with his family. He is affectionate. He loves hiking, playing in the water and fetching. He is tri-colored 53 lbs, strong build. Description: Jill is a 43 lb. 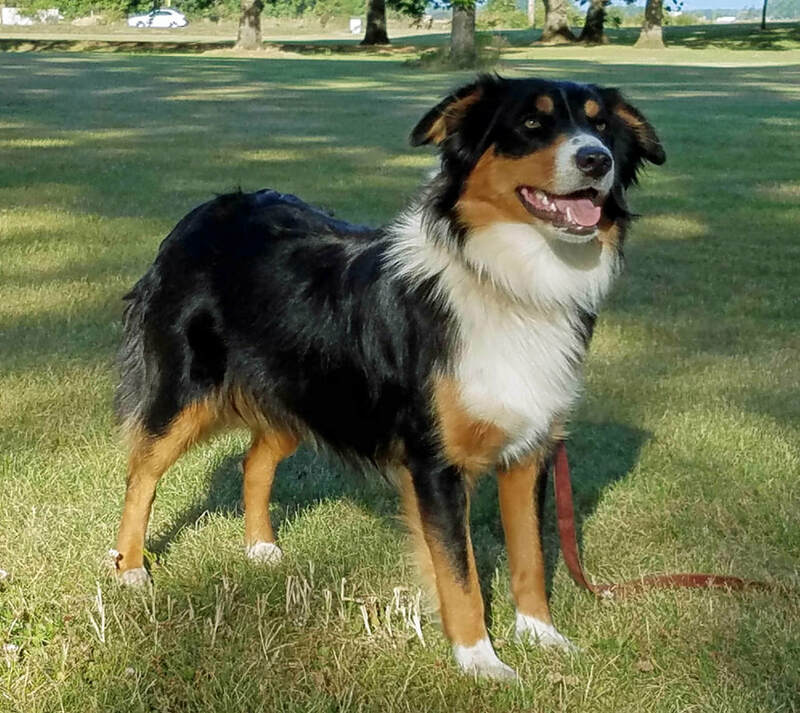 tri-colored female, highly intelligent, strong working traits and temperament, agile, learns incredibly fast. She makes great eye contact with her handler, always wanting to please and follow directions. She is highly biddable and easy to train, She is affectionate, easy on a leash, loves to play fetch, swim and hike. She alerts us to strangers and keeps vermin off the property. 11 tri-colored puppies were born on Valentine's Day. The puppies’ temperament is intelligent, friendly, calm to medium energy. There are three males still available.